Two of the biggest names in breakfast have a few more gluten-free options these days. 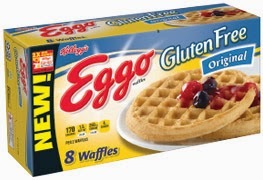 While we wait for a gluten-free version of Special K cereal to hit shelves, Kellogg's classic Eggo waffles now come in two gluten-free varieties. The Original and Cinnamon waffles will be sold in 8-count and 40-count packages. 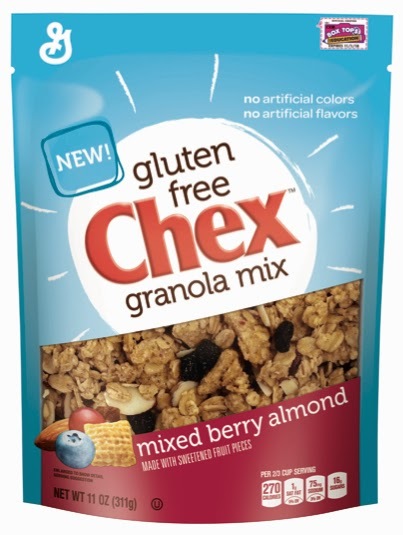 Meanwhile General Mills announced this week that the new year will bring new Chex Gluten Free Granola Mix available in two varieties: Honey Nut and Mixed Berry Almond. Under its Food Should Taste Good label, General Mills will debut the Real Good Bar featuring whole nuts, seeds and real fruit pieces. The GMO-free bars come in four flavors. In Exton, the newly opened Red Star Craft House (146 Exton Square Mall, 610-524-5893) is the latest concept from Dave Magrogan, who owns Harvest Seasonal Grill and Kildare's. Along with pizza crust and burger buns, gluten-free items are noted on the menu. Two hard ciders are available from the bar. Most entrees and appetizers at French-influenced Paloma Mexican Haute Cuisine in the Bella Vista section of South Philly (763 S. 8th St., 215-928-9500) are naturally gluten free. Request gluten-free bread upon arrival at this BYOB and save room for bread pudding. Max's Seafood Cafe in Gloucester City, New Jersey (34 N. Burlington St., 856-456-9774) stars gluten-free items on its menus, including for the Feast of the Seven Fishes. Iron Hill Brewery has opened its newest restaurant in Ardmore (60 Greenfield Ave., 610-228-2280). The restaurant has adult and kids' gluten-free-friendly menus. Atlantic County now has its first post-Prohibition distillery, as I wrote on Tuesday. Lazy Eyes Distillery has Saturday tours and tastings of its gluten-free vodka made from grapes. This is my last planned post for 2014, so I want to take the opportunity to thank everyone for reading and supporting Gluten Free Philly throughout the year. I wish you happy holidays and a healthy new year!